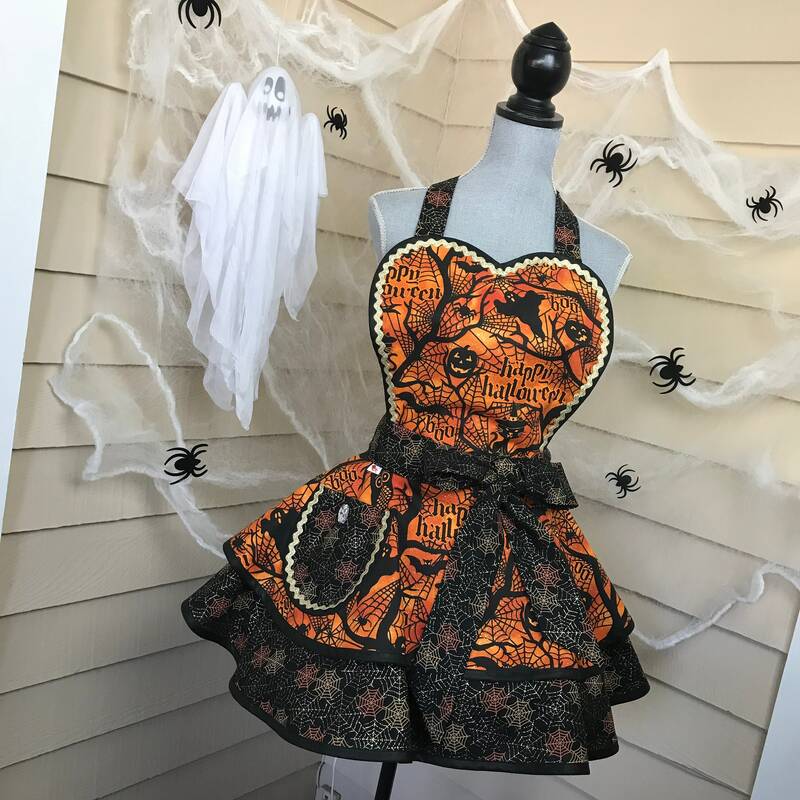 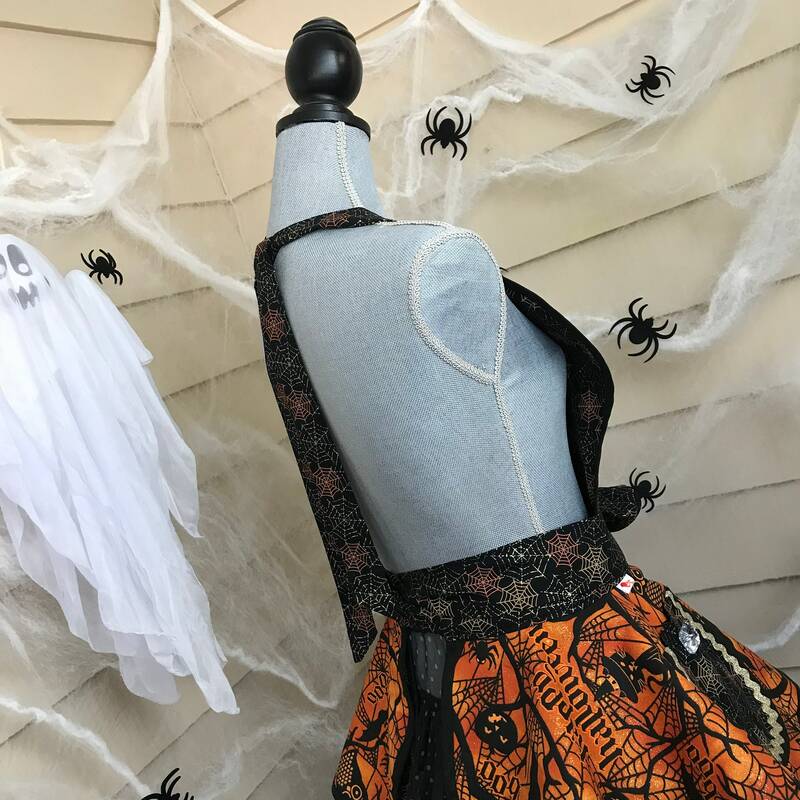 Pinup Halloween Apron with pumpkins, ghosts, spider webs and spiders in a fun two tiered retro style!! 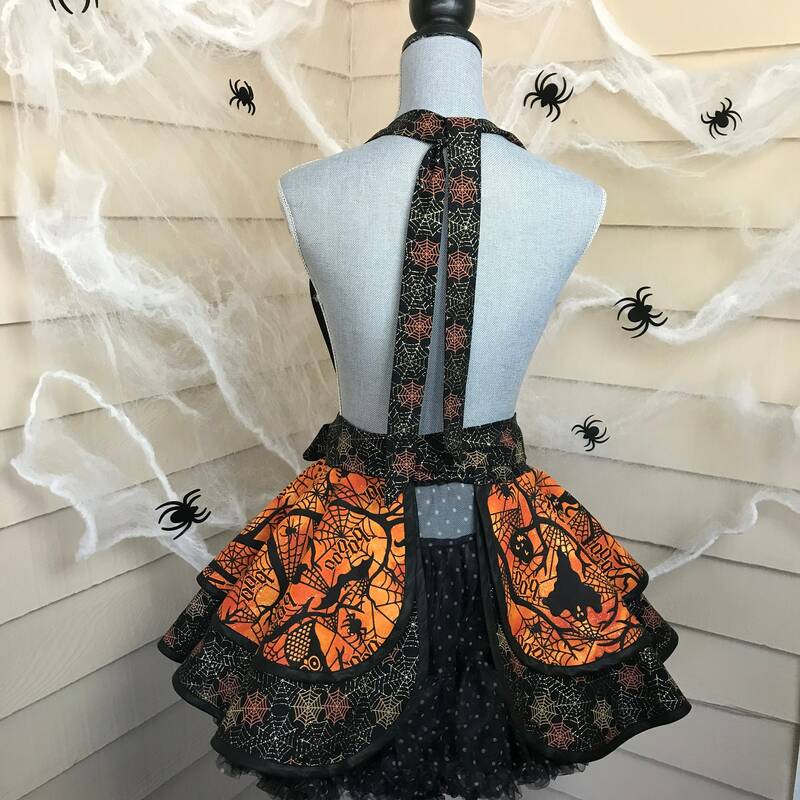 Great spider web gold sparkly contrasting fabric in Halloween colors of course! 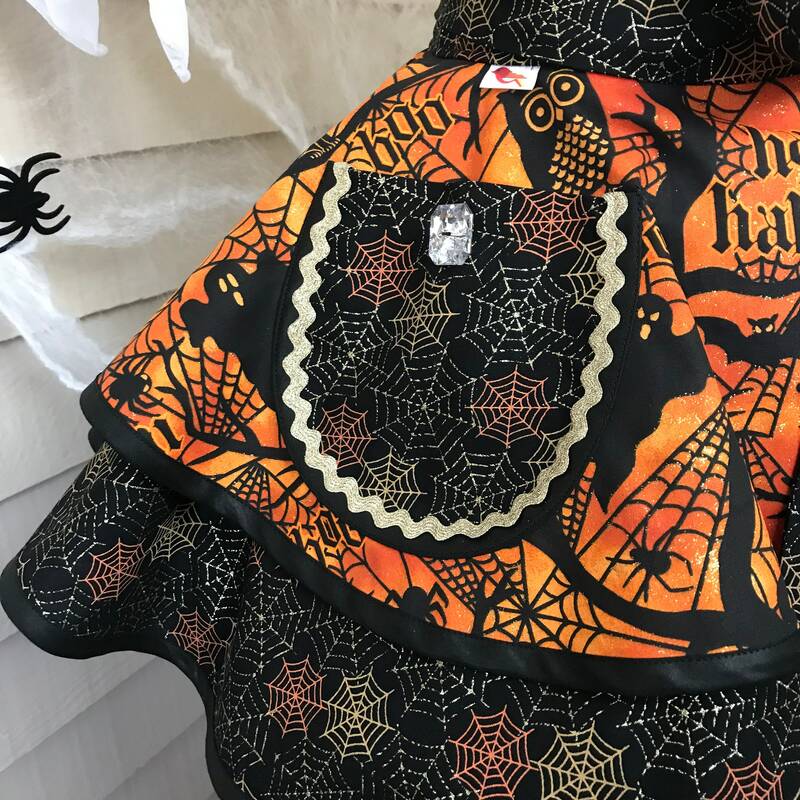 The heart bib is trimmed out with black binding a very shimmery gold ric rac as is the pocket on the first tier. 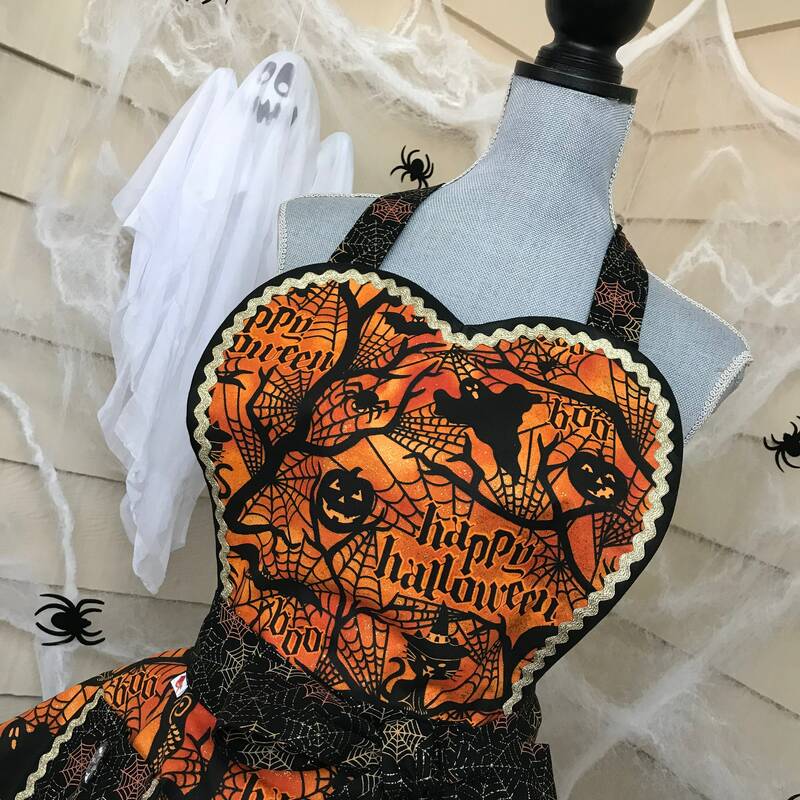 Grab this one for your party as this is one of a kind! 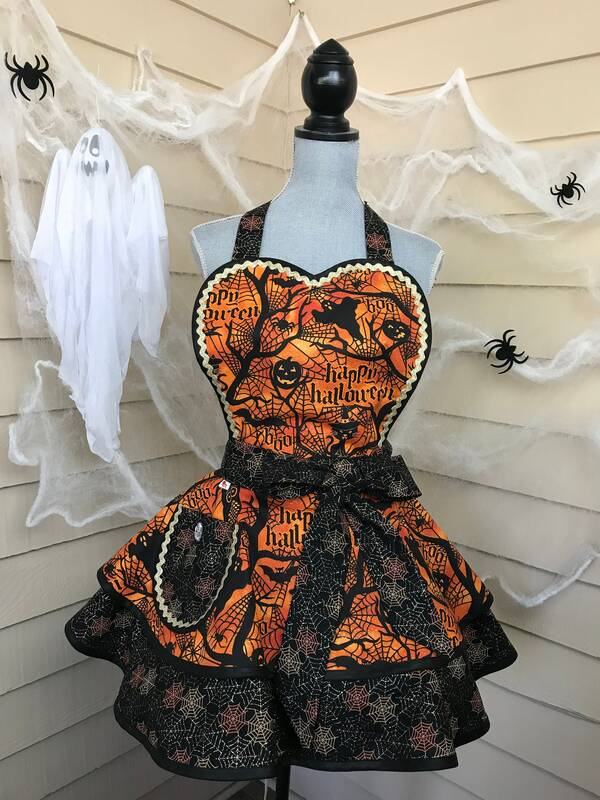 The colors are amazing in person and would make a cute costume too!